Things are ramping up now that the wedding is drawing near and craft projects really help to make me happy amidst all the craziness. At our wedding, we wanted something to identify our friends who are helping out so that guests can easily approach them for any assistance. As bracelets won’t be suitable for our male friends and not as easily seen, we decided brooches would be a better option. 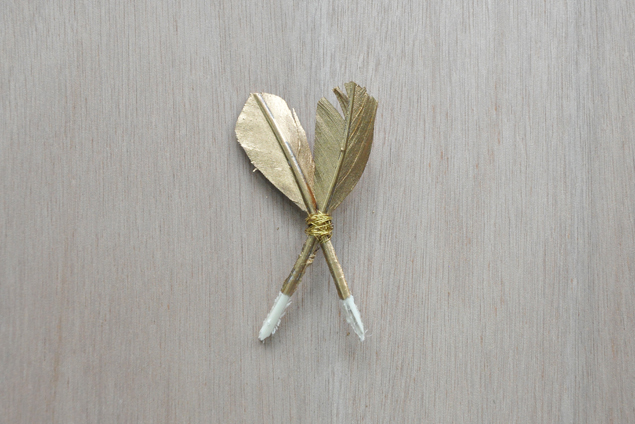 For our brooches, we decided on simple feathers dipped in gold to suit the color theme. And since birds of a feather flock together (trying not to be cheesy here), we figured it was apt that our closest friends were wearing them! The hunt has begun. Previously, home decor and household items were a matter of daydreaming and browsing. But now with our upcoming new home, things are getting serious! 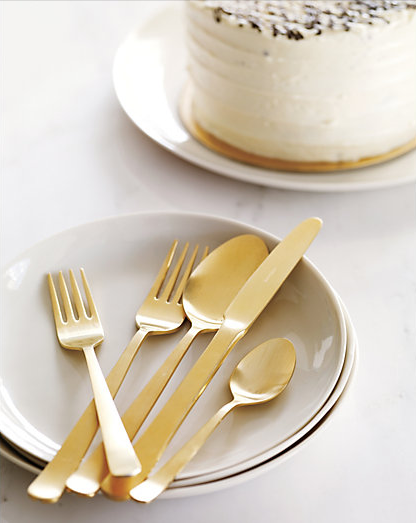 Recently, my fiance and I came across gold cutlery at a store. I had always seen them in food style photos and thought they were pretty cool. But actually holding them and thinking of using them on a daily basis needed some mental adjustment. After all, most cutlery we’re used to is silver, and gold felt… different. 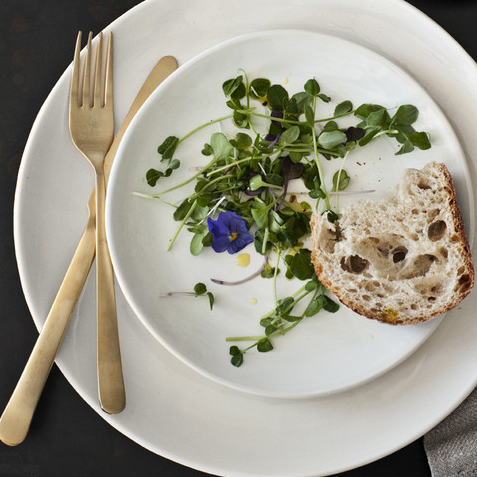 So I started searching for more gold cutlery online to see if I could start getting used to it… Paired with simple white plates, these gold babies make everything look so good! It’s been a pretty hectic month and I apologize for being so absent! Trying to launch a camera handbag business, planning a wedding, finding a new home (and now learning about renovation) has certainly made life a little… different, for lack of a better word. 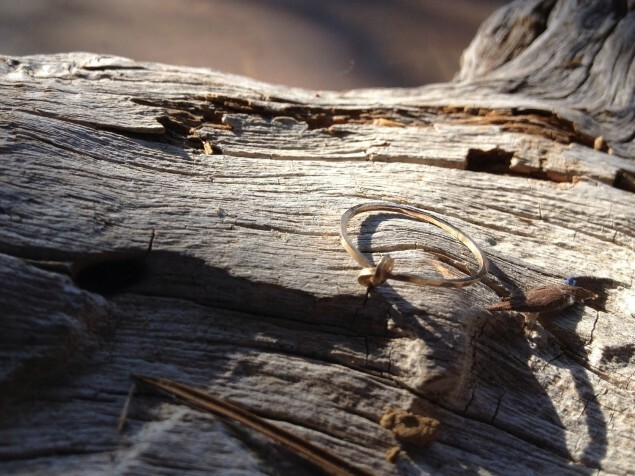 I love how it’s a different type of knot in a simple but classic type of way. It was the only one I couldn’t stop thinking about after searching through countless product pages!